“Your new favourite Porsche then?”, I ask Walter as we chat in the pitlane of Circuito Mallorca during the Porsche Cayman and Boxster GTS launch. 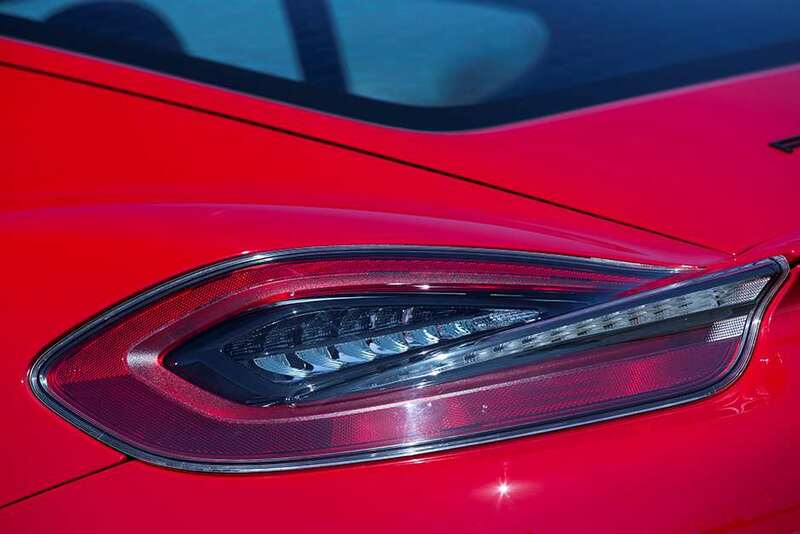 “For sure, and that one specifically,” pointing to a metallic blue Cayman GTS with PCCB brakes, the optional Sports Chassis and a manual transmission. He concedes, as ever, that it could still handle more power for track work, but as a sports car for the road there’s nothing better balanced or more exploitable and enjoyable to drive. It’s not often he’s wrong, but at no point on the drive over from the other side of Mallorca did the Cayman GTS feel short of power. In every other respect Walter’s spot on. Sure, it’d be easy to write the GTS models off as specification specials, but that would be to do them a disservice. While you could take a regular S and tick a few options boxes on Porsche’s addictive configurator and get to within a whisker of the GTS’s spec list, but by adding it to the line-up above the S you don’t have to. Inside there are Sports Seats Plus in the now leather and Alcantara trimmed interior. The GTS also gains PASM and the Sport Chrono package – which includes dynamic engine mounts – a black-tipped sports exhaust, black finished 20in Carrera S alloy wheels, the black theme extending to the standard bi-Xenon (with Porsche Dynamic Lighting) headlight surrounds and elements of the new front bumper’s intakes and lower splitter – which is unique to the GTS models. It looks – and more importantly – sounds, sensational, the black elements and that re-profiled front bumper adding extra appeal to the Cayman’s lines. There’s more power too, Porsche adding a relatively modest 15hp – torque rising by 7lb ft to 280lb ft, allowing the Cayman GTS to reach 62mph in 4.9sec on its way to a 177mph top speed. Want your Cayman GTS quicker? Then opt for PDK, which with Sport Plus pressed and launch control shaves 0.3sec off that 0-62mph sprint, though robs it of 1mph off its top speed. I’m with Walter on his choice of the manual though, ‘his’ blue car additionally featuring the no-cost option of a Sports Chassis, which drops the ride height by a further 10mm over the standard PASM equipped car. There’s no switch for Normal or Sport, just a single set-up that adds some additional focus to the GTS’s repertoire, if slightly at the expense of ultimate ride comfort. Most will roll out of Porsche’s showrooms with the PASM suspension and PDK, and really there’s absolutely nothing wrong with that, so specified the GTS still a magnificent, engaging and incredibly capable car. But Porsche’s six-speed manual remains a rare delight – more so since the 911 adopted a seven-speed unit – which combines the sort of crisp, beautifully accurate movement across its gate with perfectly judged pedal feel, weights and positioning. Snicking up and down the ‘box is always a pleasure, one of the few to be had on day one of the GTS drive thanks to roads absolutely littered with cyclists. There are thousands of them, the convoy of Porsche’s launch cars slowly picking its way through a many shaped, every-direction lycra-clad peleton of enthusiastic cyclists. The road snaking ahead on the sat nav screen might offer the promise of hard-charging GTS thrills, but it’s not to be today. Kamikaze racing bikes around each bend and the promise of track time tomorrow means for now the GTS is best enjoyed sedately and safely. Many – mostly unnecessary – gearshifts are undertaken to enjoy the rousing crackles and blaring flat-six’s timbre, the flaring revs from heel-and-toe shifts usefully signalling the arrival of four wheels to our two-wheeled road companions. It’s fun rather than frustrating, the Cayman exhibiting its always-impressive ability to engage, even at prudence enforced speeds. Track-bound the following morning requires a run back across the island from Port De Soller, the route spearing though the mountains as quickly and efficiently as possible. But Porsche launched the previous Cayman R here in 2011 and there’s a road indelibly described on my memory. The Ma-11a forgoes one of the time-saving tunnels. Instead this narrow, poorly-surfaced ribbon of tarmac’s 30 hairpins climb up and over the hill, 24 more describing the descent. It’s a difficult, challenging road, poorly and many surfaced, that’s best enjoyed in Sport mode (Sport Plus interfering with the many heel-and-toe downshifts with its own electronic throttle blips) and Porsche Stability Management off to allow the weight-shifting rear to pendulum under power out of each bend and require some corrective lock at the wheel. First and second gear stuff, Sports Exhaust on to enjoy those flaring rev gearshifts. 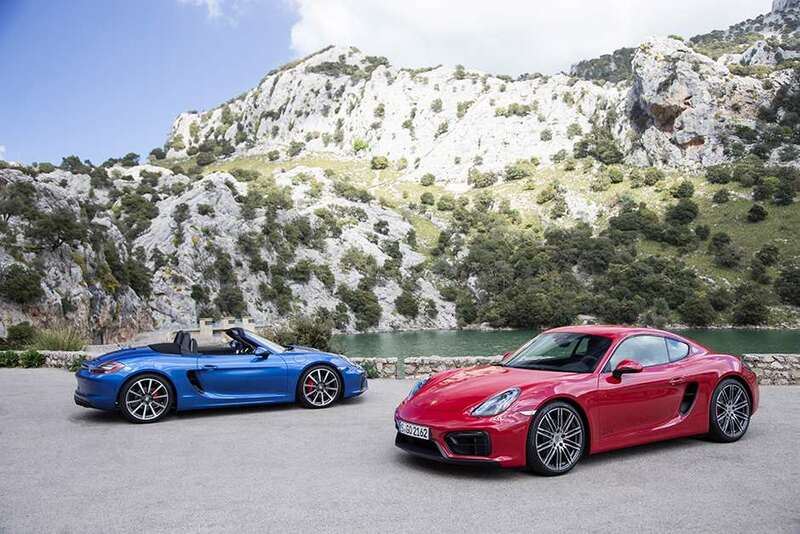 The Cayman GTS revels in it, its always strong, reassuring brake pedal, the accurate shift of the six-speed manual and the suspension’s ability to provide exemplary control yet isolate the poorest surfaces being deeply impressive. The steering, criticised as not being quite as sharp as its hydraulically powered set up, is quick, well-weighted and delivers plenty of feel, the Cayman’s inherent balance so finely judged that it’s among the best, if not the best sports cars money can buy. 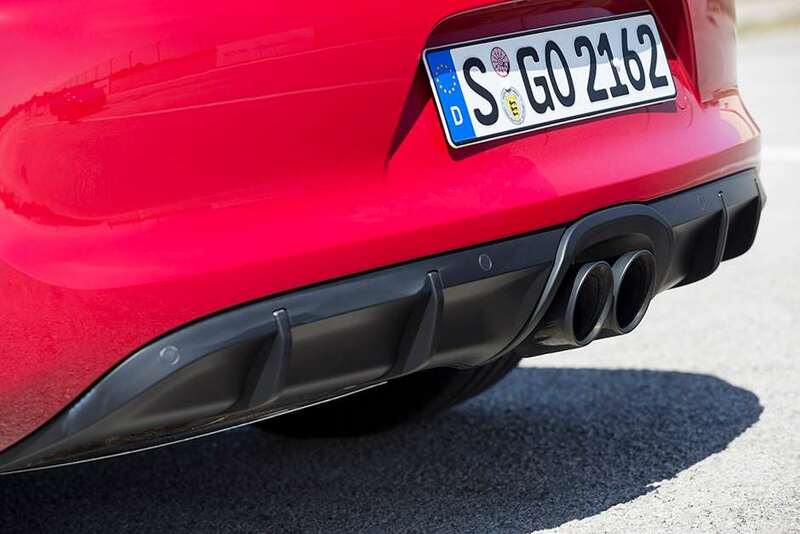 The flat-six’s low-rev response is always quick, its power peaking at high revs, but the meat of its torque giving it huge flexibility and the sort of linear urge that leave you wanting for nothing even in the most challenging conditions. It’s not shockingly, or frighteningly, fast but exploitably and enjoyably so, the engine’s output mated to a chassis of such composure, faithfulness and balance as to mark it out as among the very best drivers’ cars money can buy. That’s true of the Cayman in any of its guises, though the GTS adds a richer layer of intensity to the experience, slightly sharper looks and saves much of the spec-sheet loitering that’s required on the S model to perfect. It’s not just Walter’s favourite new Porsche, but mine too. Indeed, I’d go as far as saying it’s the best sports car any amounts of money can buy. It really is that good. Lancia 037: The most overlooked Group B rally car?